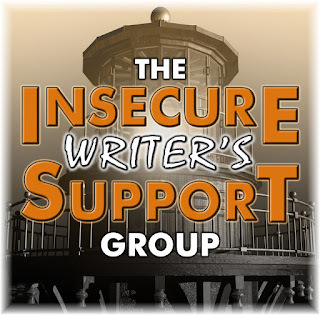 It's another meeting of the Insecure Writer's Support Group - we meet to well, support each other in our crazy desires to be part of the writing life. If you're interested go to the link above and sign up or at least have a boo - lots of great blogs to visit! 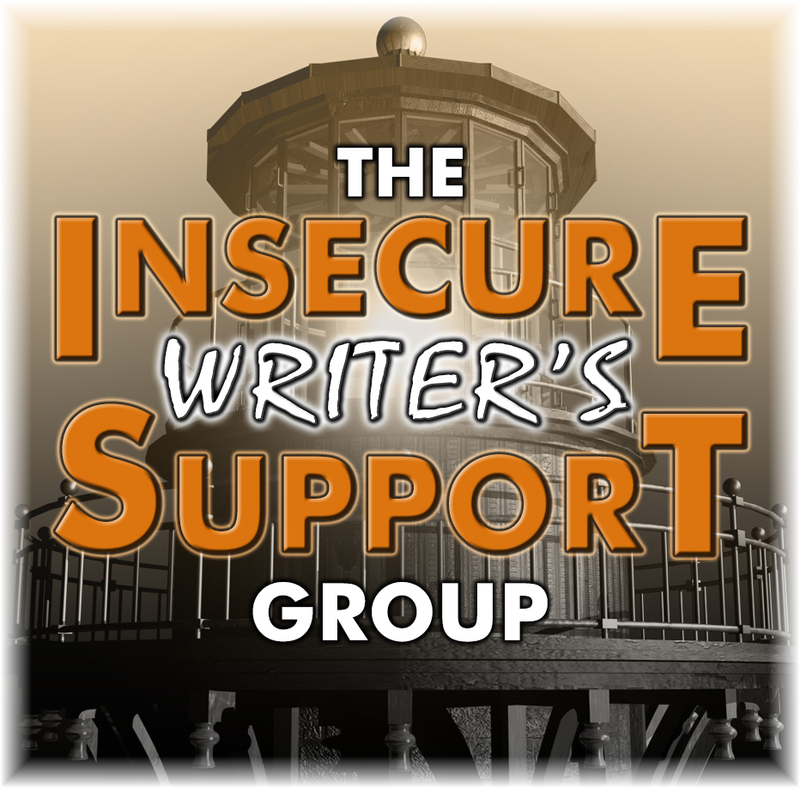 It is another meeting of the Insecure Writers Support Group and I'm excited! I love the new year with its lovely blank pages awaiting. I plan on sullying many of them - or smudging them, or decorating them, or utterly ruining them. The main thing is that I will use each day. I will be awake and on the ball. Here is this meeting's question - January 3 question - What steps have you taken or plan to take to put a schedule in place for your writing and publishing? This is a bit of a slippery question. So many steps and plans and schedules between me and writing. Hmm... I will write every day. I am writing every day and I will continue to do so. I usually do a thousand words a day on my current project (Ruby's House - a memoir of our time here in Labrador). I have also committed to sending out 11 poems this month and will see how that goes. I tend to send poems out in mad batches and then wait. I did get one published in December so feel chuffed! I have had two batches rejected and one batch I haven't heard back from yet (sent all in June). I would like to revisit my plans with Bright Angel. It is currently out to 7 agents or publishers but some of those have had it for quite awhile with no peep. I had a strong nibble last year (request for full) but it didn't pan out. I am considering rewriting the first chapter or making a prologue as it gives a false example of the book as a whole - yet it is the right first chapter. As I say, I'm considering these things. Part of the problem is that I don't like to consider it a YA but some people do because the main protagonist is a youth. This annoys me - what if Catcher in the Rye was considered a YA? Maybe it is, but when it came out there was no such genre. I have a mystery that I worked on for the past couple of years ( Crooked Knife ) but I am not happy with the ending. Okay - we're all kind here - there is no ending. I can't do it and it is kind of crucial for a mystery. I really really like the book though - the voice, the mystery, the passion and so on. So it deserves some of my time or I need some help with it. So - with that I bid you adieu as I have some writing to do today and perhaps a bit of research on a new place to send some poems. I couldn't agree more, Jan, about the feeling a new year brings. I wish you well with your projects, and I hope you nurture that enthusiasm. I love the spirit you bring to everything, Jan. You always are so open and ready for the experience and it makes it joyful just to walk this journey next to you. Hello, Jan. Looks like you have many irons in the fire and are very productive. Congratulations on your publishing success with your poems. May 2018 bring you clarity and peace--and an ending to your mystery! That's a long time not to hear back. Hope the rewrite brings your manuscript the attention it needs - and in the right genre. Young adult is such a broad genre and most publishers are so picky about the age range. Fortunately, neither readers nor bookstores are picky. Even if your story ends up as one, the right readers will still find it. Wow! Way to go on your writing schedule with 1000 words per day. That's awesome! I totally get the love for a book that doesn't seem to have the write ending - I have one of those (or two, or three? ), but I keep working away on various projects, hoping I can come back and finish the unfinished ones eventually. Maybe with more time, I'll be ready? I'm not sure. Happy writing today and through 2018! Congratulations on that published poem - excellent! Good luck with all of your writing projects! Creating books is such a long process, isn't it? Sometimes I wonder why I'm pouring everything into it, when I am seeing so few results. But things do change, slowly but surely. At least you are submitting And congrats on getting one published. In my opinion, a young protagonist does not make the story YA or MG or anything else. Its the voice, the maturity, concepts. On the other hand, you can still submit to YA for the age, even if your character isn't angsty. Tap into any genre you can. Wow! You have a lot of writing currently going on! 11 poems in 1 month, 1000 words a day! That stresses me out just thinking about it! I wish you all of the luck in achieving your goals! Congrats on the published poem! As to the YA thing, I wouldn't worry too much. As others said, it's such a huge area and readers slip over that supposed border easily. (I know I do) Just write what needs to be written and let the rest happen. Good luck with everything! Thanks everyone for support and helpful suggestions! To clear up any confusion about Bright Angel -it is written and has been for almost two years. I think it is a novel. That's it. A novel. But even though I'm not pitching it YA some publishers and agents are suggesting I do. I love many books labelled YA but find it constraining and basically not a useful construct. I work with youth and am very aware that there is a push from the corporate world to create divisions between groups of people (women/men, sexual orientation, people of colour, old/young) in order to sell more crap. So, I don't wish to be part of this. This is a large explanation for a comment - think I'll write a post. Oh and I'm not going to write 11 poems this month - I don't think! I've got many to send out. And 11 might be too excessive even for me! Well, you definitely have a lot going on in terms of getting work out there, which is half the battle. Hope you have a productive year with some good news!